I have mentioned before that there are breed specific rescues out there. Today I’m going to write about one called the Woof Project Rescue that my furiend Meaty of Meaty and Friends introduced to me. They work with Belgian Malinois. These dogs are one of four types of Belgian Shepherds: Belgian Malinois, Belgian Tervuren, Belgian Groenendael & the Belgian Laekenois. 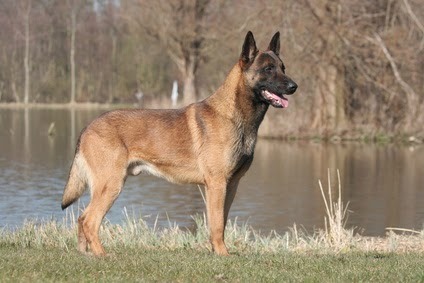 The Belgian Malinois was originally a herding sheepdog. Aligned with their drive to work, nowadays you will find them in narcotics & bomb detection, tracking, search & rescue, police work & military operations. They are alert, athletic, intelligent & extremely high energy. Belgian Malinois are a working breed that bore easily, because of their drive & intensity, they are not recommended for the inexperienced human. I imagine this is how these dogs end up in shelters. People don’t do their due diligence & end up with a dog they can’t manage or the dog is in the wrong setting. I don’t think a Belgian Malinois would be a good fit in a downtown condo. The people at Woof Project Rescue have put a great deal of effort into finding homes for these dogs. They work with potential adopters to be sure a happy ending in a forever home is the end result. They won’t adopt out if they feel the potential new home isn’t right. If you’d like to read more or make a donation you can visit their web site. There are many more rescues out there that are breed specific. If you have a specific breed of dog in mind for a new best friend I’m sure you can find a Rescue where you can adopt. why are hurt and beated dogs so different love them by there self not there image.